Dr. Bernie Sirois graduated Old Town High School in Old Town, Maine in 1982. Pre-med studies at University of Maine. Doctorate of Chiropractic degree from Logan College of Chiropractic in Chesterfield, MO - 1988. Met and married wife & Salem native Dr. Michelle Gray Sirois - 1988. Private practice in St. Peters, MO for 10 years before moving to Salem in 1998. Have four children son Taylor - Evangel Univ, daughter Rachel - senior, son Matt - Freshman, and son Joshua - 6th grade. Dr. Sirois previously served on the Salem R80 School board from 2006 to 2009 and along with his wife, Michelle operate Cornerstone Family Chiropractic Center in Downtown Salem and attend Grace Community Church. Dustin Howard is a lifetime resident of Dent County and graduated from Salem High School in 1999; after high school he received a Bachelor of Business Administration degree from Drury University. Dustin is married to Drusilla Seay Howard. They have two children, Kash and Josie. Dustin is currently a VP / Principal for Progressive Ozark Insurance. Holly Erway graduated from Centre High School in Lost Springs, Ks in 1990. She earned a Bachelor of Science degree (pre-med) from Kansas State University in 1994 and a second Bachelor of Science degree in Physician Assistant studies from Wichita State University in 1996. Holly is married to Camron Erway and they have three children, Zach, Olivia, and Avery. The family moved to Salem in 2005 from central Kansas. Holly is currently employed as a Physician Assistant (PA-C) at Mercy Pediatrics in Rolla. ​Drew Whitaker is a lifetime resident of Dent County and graduated from Salem High School in 1996. On August 7th, 1999, Drew married Shonda Thompson Whitaker they have two children, Mackenzie and Bayleigh. Drew currently works for his family business at Whitaker Building Supplies. Carrie Snider graduated from Salem High School in 1989 and earned her RN from Park College School of Nursing in 1996. Carrie is married to Brandon Snider. They have four children Abby, Matthew, Kennedy, and Ben. Carrie is currently employed by both Salem Memorial District Hospital and Phelps County Regional Medical Center. Larry Maxwell grew up in Edmond, Oklahoma and graduated from Edmond High School in 1966. 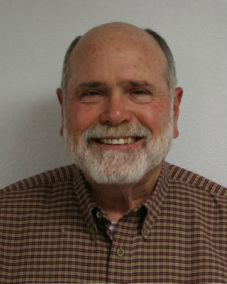 He graduated from Central Oklahoma University with a Bachelors in Business Administration in 1970. Larry served 3 ½ years in the United States Air Force. He completed his Masters in Secondary Education and began his career in education in 1976. He received his Administrative Certification in 1982 from the University of Oklahoma. Larry’s 32 years in education include teacher and coach for 8 years, assistant principal for 6 years, Junior High principal for 6 years, and High School principal for 12 years. He retired from the Salem R-80 School District in 2008. He is married to Linda McKinney Maxwell and they have two children, Andrea Maxwell, Oklahoma City, OK and son, T. J. Maxwell, Cuba, MO. Larry and Linda moved to Salem in 2002 and attend First Baptist Church. They both serve on the Enrichment Services of Dent County Board. Chris Heavin graduated from Salem High School in 1990. After high school, Chris attended RTI and received his certification in radiological technology. He and his wife, Jody Sanders Heavin, have two children, Trista and Collin. Chris is currently employed at Heavin Motors.